A dark chocolate bark encrusted with toasted black & white sesame seed and a sprinkle of sea salt. Temper chocolate (see recipe below). Pour the tempered chocolate on the paper, spreading it evenly with an offset spatula or a silicone scraper. 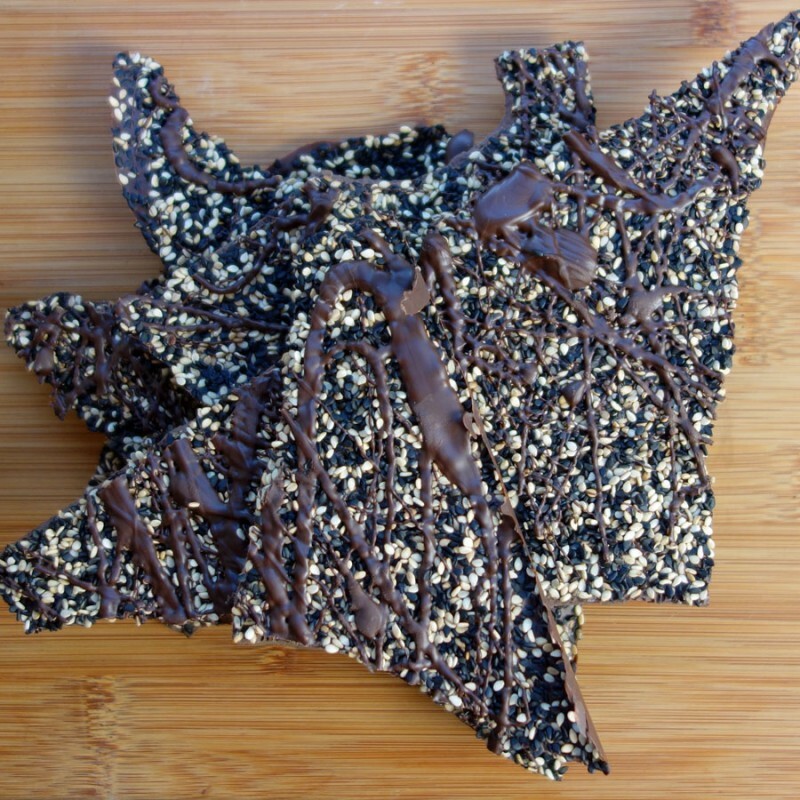 Reserve a couple of tablespoons of the chocolate to drizzle top of the sesame seeds on the bark. Immediately sprinkle the bark evenly with the sesame seeds. Holding the edges of the pan firmly tap the sheet pan a few times on the counter to level the chocolate and settle the sesame seats. Drizzle the bark with remaining chocolate and sprinkle it evenly with sea salt. If you’re working in a cool space (around 60 F° or lower) allow it to cool. If you’re working in a warm space, snap cool the bark in the refrigerator for about 10 minutes. When the bark is completely cooled break it into pieces.